Arsenal have gained an advantage over their Premier League rivals in the race to sign David Alaba, thanks to the defender’s recent comments. David Alaba joined Bayern Munich’s youth academy back in 2008, and has since not only progressed through its ranks, but has also established himself as a mainstay of the team. The youngster has been nothing short of sensational for the Bundesliga club, and his top drawer performances have attracted interest from all over Europe, including the Premier League. The likes of Arsenal, Chelsea, Manchester City, and Manchester United, have all been reported as interested in securing £34m-rated Alaba’s services, despite the Austrian international’s chances of leaving the Bavarian giants being extremely unlikely. 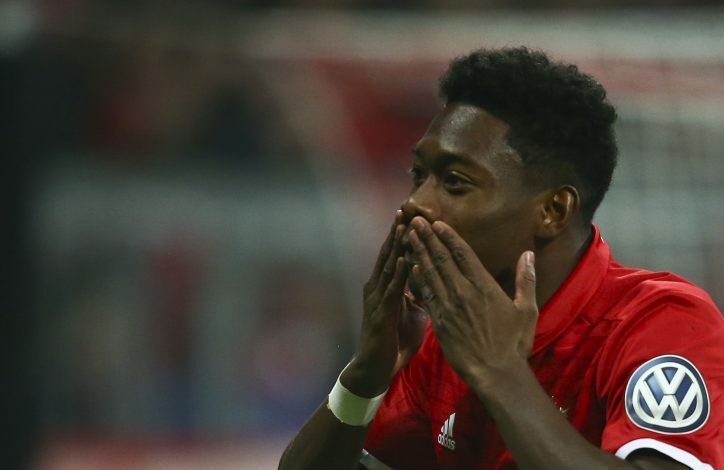 However, if the 24-year-old does decide to leave Germany for a Premier League outfit, Arsenal will definitely have a massive advantage over its fellow English clubs to land Alaba’s signature due to the player’s recent comments. Alaba’s club teammate Arjen Robben, however, was not as kind as the Austrian. The Dutch international, whilst speaking about his upcoming UCL opponents, couldn’t help but take a slight dig at the Gunners’ ambitions in the decorated European competition.